Our whole dabs is made of the common dab. The common dab was first named Pleuronectes limanda, but nowadays the Latin name for the fish is Limanda limanda. The fish used to be part of the by catch of trawlers, but the past few years the demand for dab has risen. The common dab can be found in the north-eastern Atlantic Ocean, which is also known as FAO fishing area 27. The common dabs lives especially on sandy bottoms of the North Sea. Since this is next to the Netherlands we mostly catch our common dab ourselves with our own fishing fleet. After the fish is caught we immediately process and deep-freeze it to keep it fresh. After all, fish tastes more delicious when it is fresh. As a supplier we have whole dabs available in all sizes. We sell our whole dab with its head on and gutted. We also have pan ready dab available at our ‘North Sea Fish’-page and fillets of the Limanda aspera (Yellowfin sole) at our ‘Fish Worldwide’-page.The common dab is small in size but great in taste. 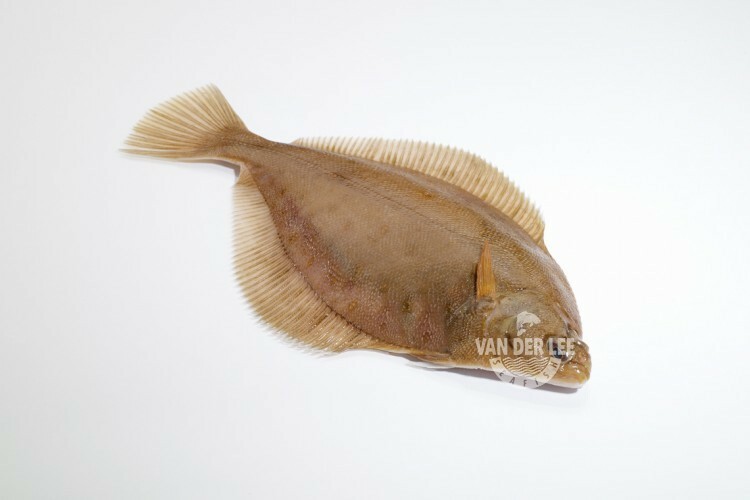 It is similar in taste to the plaice since its flesh is soft and tastes slightly sweet. This is one of the reasons why some people use the dab as an alternative to plaice. One hundred grams of whole dab contain around 95 calories, depending on the way in which you prepare them of course. Just like every fish, they are also a good source of protein, omega-3 fatty acids and B vitamins. We mainly export our whole dabs to Japan and Italy. Especially in Japan there is a lot of interest in the whole dabs ever since the eighties. They use the name ‘karei’ (かれい) for the fish, which is the Japanese name for right-eyed flounder, and they often eat it with steamed rice. However, sometimes they also eat dried dab. To dry the fish they hang them up on lines in the wind. Whole dab can be grilled too, which will taste great with garlic butter. You can also serve the fish with bacon, olives, tomatoes and pine nuts, which will make a delicious Mediterranean dish.